A Sticky Notes (notes) is a Behavior Editor utility to add notes and annotations in Behavior Graphs. This node is only graphic. 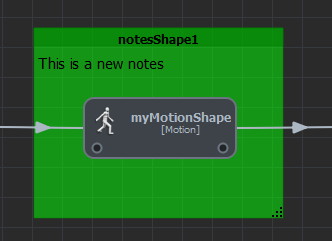 Then click and drag inside the Behavior Editor viewport to create a Sticky Notes. Sticky Notes are movable and resizable. A Sticky Notes defines the following specific attributes.